Avaya has acquired unified comms security firm and tech partner Sipera to add extra muscle to its Aura unified comms platform. The deal will see Sipera's enterprise-class Session Border Control technology become an integral part of Avaya's UC portfolio. Avaya has acquired unified comms security firm and tech partner Sipera to add extra muscle to its Aura unified comms platform. The deal will see Sipera's enterprise-class Session Border Control technology become an integral part of Avaya's UC portfolio in a move Avaya claims will offer customers and partners "flexibility, security and value", as well as lowering the cost of UC and contact centre deployments. In a statement, Sipera COO Jim Timmer hailed a "significant milestone" in UC history, saying: "Together our solutions simplify and streamline deployment and management of enterprise UC, improving communications flexibility, accelerating user adoption and maximising ROI." 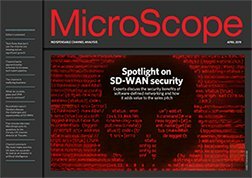 David Grant, senior vice president of Europe at Sipera and Avaya distie Westcon, said the deal would "dramatically lower the cost of entry for companies looking to deploy advanced SIP UC applications and protocols" which would in turn boost interest in the end-user and channel communities. "For Avaya partners this means reduced time-to-value for those selling advanced Aura-based solutions," he added. "The acquisition will also dramatically lower the OPEX costs for those interested in managing and provisioning secure remote working."